Freeview is the most popular digital TV service in the UK. More than 20 million of us have Freeview in our homes, and in addition to the digital TV and HD channels there are more than 20 digital radio stations. If you already receive your TV channels through a roof-top TV aerial you don’t need to do anything more to start enjoying digital radio. All of the BBC’s UK national and digital radio stations are available on Freeview, except for BBC Radio 4 Long Wave. A selection of commercial radio stations are available too, including Classic FM, talkSport and Absolute Radio. Digital only stations Kerrang, Kisstory, heat and The Hits are also offered with Capital FM, Heart, Magic, Smooth, Premier Christian Radio and Insight Radio also available. The selection of radio stations on Freeview is smaller than that on Freesat and popular digital radio stations like Planet Rock, Smooth Extra and Absolute 80s are missing from the line-up. 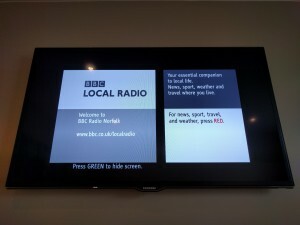 Unlike DAB digital radio there are few local stations on Freeview with just a few BBC Local Radio stations available. To start listening to digital radio with your Freeview enabled TV or set top box enter the Guide and scroll down to the radio channels. Alternatively you can enter ‘700’ on your remote control – the channel number for BBC Radio 1 – and browse using the channel + and – buttons on your remote. If you don’t yet have a Freeview enabled television all models from major UK retailers include Freeview as standard. With the arrival of HD channels on Freeview it is worth buying a Freeview HD television. You’ll also need a working TV aerial. Information about aerials and installers can be found on Freeview’s website. Installation of a new TV aerial will normally cost between £90 and £180. It’s more than three years since the UK completed its switch to digital TV which means most televisions now have Freeview built-in and there are far fewer Freeview set top boxes available from major retailers. Freeview+ HD recorders are available for £150 if you do need to replace your Freeview set top box or would like to take advantage of new recording features.